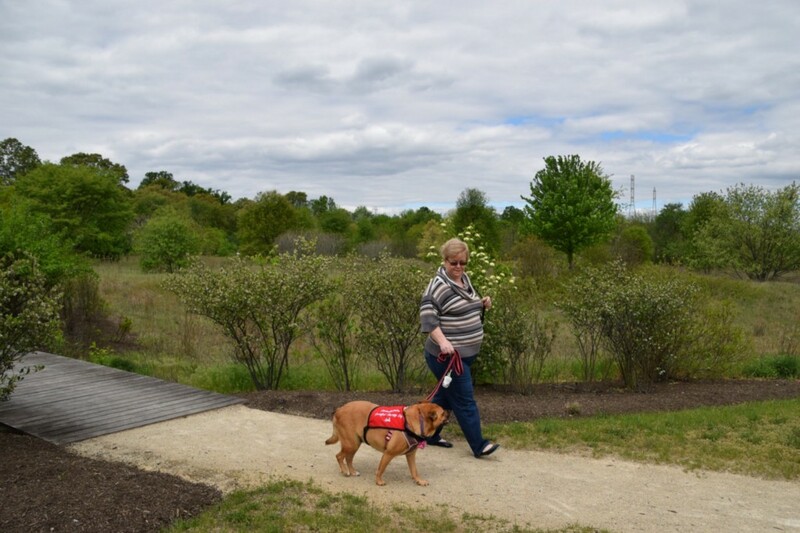 A Burlington Township therapy dog and his owner are helping children read, and residents can get in shape for free this summer at Green Acres Park. Catch up on everything from the past week in the Weekly Roundup. Burlington Township resident Peggy Sanders and her therapy dog Isla are regulars at the Bordentown Library every Friday afternoon. Through the library’s “Dog Tales” program, Isla and Sanders are encouraging young learners to read without fear. Sanders said from a young age, children are acutely aware if they struggle with reading. For that reason, Sanders brings Isla, a 4-year-old lab hound mix, to the library to sit with school-age children who can practice reading to the affectionate dog without fear of judgment. Burlington Township’s Recreation Department is giving residents a chance to incorporate fitness into their lives without the financial and time constraints of a gym. In a partnership between Burlington Township’s Recreation Department and Optimal Sport Health Club, “Optimal Fitness Camp” is a workout program that will be held in Green Acres Park every Saturday morning at 9 a.m. The program started May 6. The fitness camp is free to Burlington Township residents ages 15 and older and will span the spring and summer, going as far as September depending on the weather. On Thursday, May 4, the Burlington Township Police Department and the Burlington County Prosecutor’s Office Gangs, Guns and Narcotics Task Force executed a mid-afternoon narcotics raid within an apartment complex located at 1701 Salem Road in Burlington Township. The raid targeted an apartment in the E Building and was the product of an investigation between both agencies.